With the launch of iOS7, many apps have been updated to look very similar to the OS and Facebook has brought this over to Android as well in their Messenger app. With clean white interface and blue dialogue boxes and lines, one can mistakenly think that it’s actually an iOS7 built in app. Messenger is a fast, free and reliable way to keep in touch with anyone, wherever they are. It’s just like texting, but you don’t have to pay for every message (it works with your data plan). One big feature that came along with this update is the ability to text message anyone, no matter if they are on Facebook Messenger or not. Once you open the new Messenger for the first time, you will now get the option to sync contacts with your phonebook and match your account with your phone number. With this, you can text your friends via SMS and FB Chat in the same app. ● Get straight to your messages without opening Facebook. 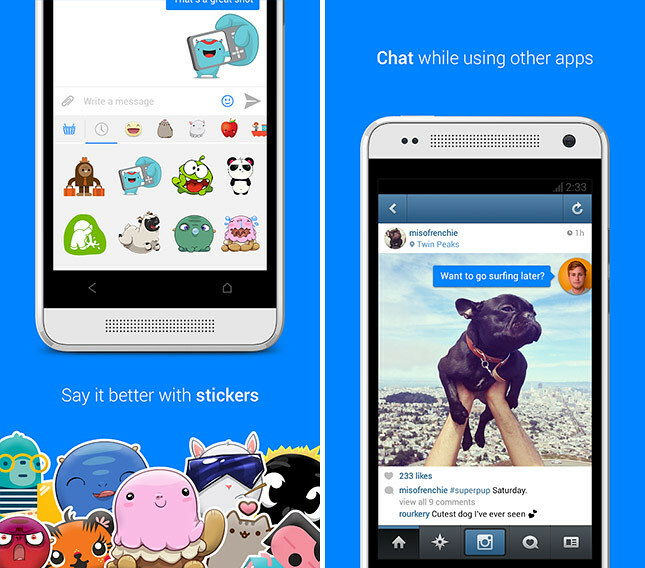 ● Bring your conversations to life with stickers. ● Have group conversations and make plans on the go. ● Share your location, so people know when you’re nearby. ● Know when people have seen your messages. ● Make free calls, even to friends in other countries. ● See who else can be reached right away on Messenger. Plus, check out who’s active on Facebook. ● Stay logged in so you never miss a message. ● Turn off notifications when you’re working, sleeping or just need a break. A completely new design, updated for iOS 7. Custom in-app sounds. For Android, user get to use ChatHeads from anywhere on the phone. 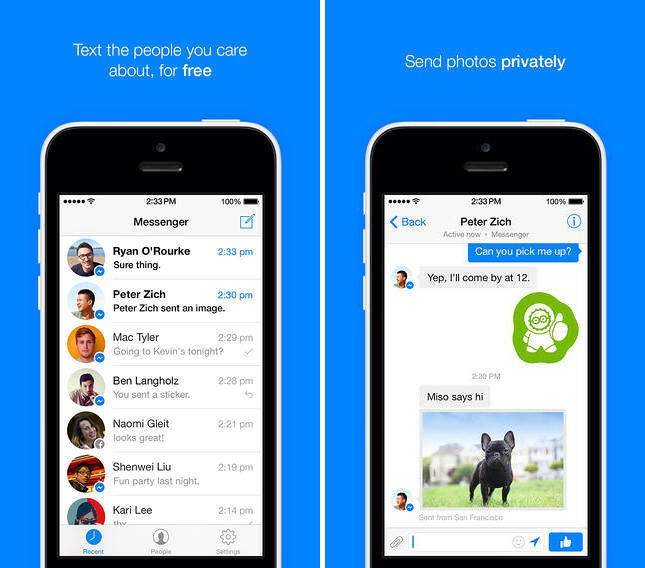 You can get Facebook Messenger on both Appstore and Playstore for free.